Two weeks into the new blog and I went and changed it on you. I know, I know, such a pain... but I felt like that pesky "the" was getting in the way of things. So here's to a "the"-less URL from here on out! 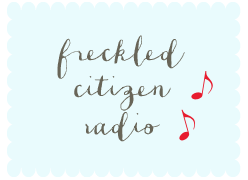 Change your bookmarks to http://www.freckledcitizen.com. You need to change the link on the "Home" button on the top of the page. Still goes to the "the" URL. Yay, Thanks Tom!! 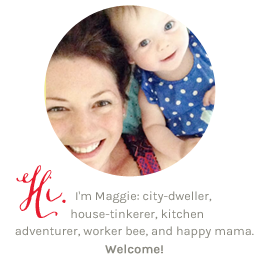 I remembered to do the Home on the About Me/Links pages, but not that one. Whew! I have been deleting "the" all day long! Shopping PSA: BR Friends & Family! 'A Whole lotta happy' about my new poster! 99 degrees at 10 p.m.